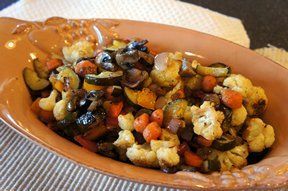 Peel and cut into 1/2 inch cubes each of the vegetables listed above and combine into a large bowl. Combine the Olive Oil and seasonings in a small bowl (I like dried basil, oregano, pepper, garlic, and a dash of salt or just rosemary and garlic). 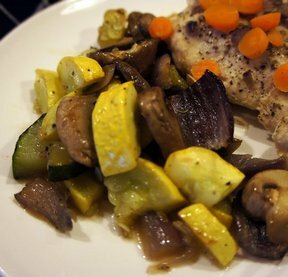 Drizzle the olive oil mixture over the vegetables and stir. 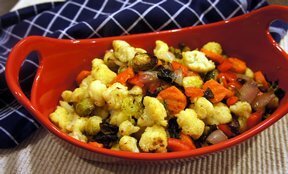 Place vegetables into a 13x9 baking dish and bake uncovered at 375° for 30-35 minutes.